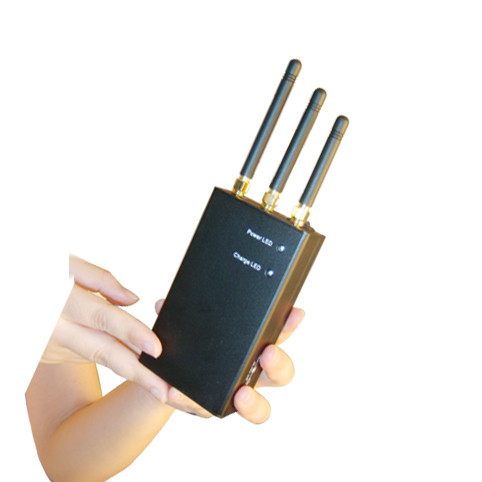 This is a portable type mobile phone signal shielding device .It is easy to carry, flexible to use, also with built-in high capacity battery . Full charged, it can last working about 90 minuters. With leather case, can be tied at the waist or arm. also can with optional car charger/adapter,it can be used in car ,battery charging from the cigarette lighter. Easy to carry, portable design. With leather case, can be tied at the waist or arm. Multi bands cover all cellphone including 3G bands. It can be used directly in the car with car adapter. Full charged, it can last working about 90 minuters. 1. To keep away from high temperature fire. 2. To keep way from Computer, TV, Radiogram etc when it is operation, otherwise, it makes disturbance. 3. To confirm weather antenna connect with output port well and frequencies is correct before you use cellular jammer, otherwise, it affect jamming radius. 4. The jammer use safe and reliable battery, if the battery can not use after many times charge, please change a new one battery. office ,examination room,hospital and meeting room, etc. It can be applied at office ,examination room,hospital and meeting room, conference room, museum, gallery, theatre, concert hall, church, temple, restaurant, classroom, training center, factory, bank, train, bus, etc.